In an age of pre-fabricated mini-malls mimicking the real-life town centers of the last century, Alexandria offers something different: authenticity. Nowhere is this more evident than in the city&apos;s thriving artisan-focused galleries and shops. What began as an offshoot to the city&apos;s vibrant arts scene epitomized by the world-renowned Torpedo Factory Art Center is now a great collection of merchants offering one-of-a-kind handcrafted products and supplies. 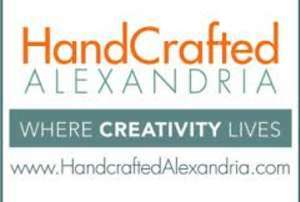 One of the city&apos;s premiere DIY outlets, Handcrafted Alexandria, is composed of 15 groups including the wildly popular fibre space, dedicated to shopping for, learning about, and creating art-helping form the city&apos;s artistic foundation.